Two for One on Tuesday, February 5th! Additions to the OWA Website. If your New Year's resolution is to manage your money better or take advantage of the PG&E Pacific Energy Center resources, come to the OWA General Meeting on Tuesday, February 5th. Remember to vote in the Primary before you come. Nick Rajkovich, Sr. Program Engineer at the Pacific Energy Center will be our host tour guide of the PEC and answer your questions from 5:30 to 6:30.
planning licenses. He has particular insight into disability and long term care insurance having suffered a stroke in his early fifties. The formal part of the meeting will conclude at 8:00, and then Nick and Greg will be available for individual questions and networking for 30 minutes. It's that time of year again. Your OWA membership is about to expire on January 31st. Please fill out the insert and return with your payment at your earliest convenience. Also, be sure to take the time to visit the OWA website. We've updated and cleaned up a few things with the help of Bill Hocker. Your comments and suggestions are welcome. 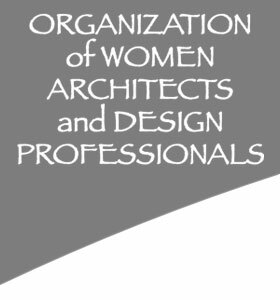 Wendy Bertrand, a founding member of OWA gave the Steering Committee a thoughtful gift: a book on women in architecture! Candid Reflections: Letters from Women in Architecture 1972 & 2004 by Doris Cole. Published by Midmarch Arts Press, New York. Copyright 2007. This is a wonderful, breezy yet poignant read. It is indeed candid. I highly recommend it and many thanks to Wendy. In the process of researching her first book on the history of women in architecture, Doris Cole sent out an inquiry letter in 1972 t women architects through out the country. These personal letters are included in this book. They chronicle careers that spanned from the turn of the twentieth century thorough two World Wars, the Great Depression, and into the 1970s. Additionally, observations were obtained in 2004 from contemporary women in architecture in order to learn about developments over the subsequent thirty years. The 47 illustrations included in this book are only a sampling of the projects by women in architecture from 1946 to 2006 in the United States. There are many more buildings and architects to be considered and documented by future researchers. The book serves as a resource, a collection of personal, candid reflections. The letters are a testimony to the grit, humor, pathos, and determination of these women architects, whose goal was to be full participants in constructing a better world. Their stories can be an inspiration to all architects, of all backgrounds, who may be facing similar challenges today. It is hoped that more womenÃ­s voices can be added to make the creation of the built environment truly representative of the values and aspirations of our entire culture. It is my pleasure to introduce you to our newest Steering Committee members: Leslie Allen, Caroline SooHoo, and Stacy Webb. We are delighted to have these terrific women join us and we thank them for their commitment to OWA. Please join me in welcoming them and be sure to introduce yourself at our next event. Leslie Allen, Architect, has joined the OWA Steering Committee. She first started attending OWA meetings while president of San Diego's Women in Architecture group in the late 1980's, as the California Women in Environmental Design (CWED) was forming. Leslie's range of professional experience includes architecture, historic preservation, landscape architecture, urban planning, and teaching art. 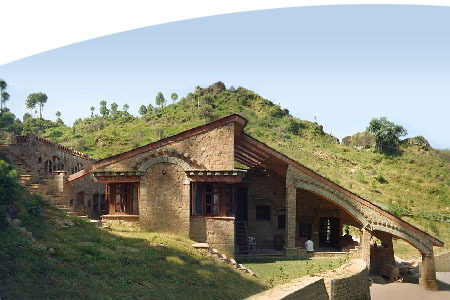 Ms. Allen is self-employed and does both architecture and art commissions. Sustainability and green design and construction practices are of fundamental concern to Leslie, both for the health of building occupants and for the global environment. While working toward her B.A. in Social Ecology (1980) at UC Irvine, Leslie adopted an ecological framework and environmental psychology into her design process. Passive solar building design, alternative energy technologies, and intentional communities were part of LeslieÃ­s Master of Architecture (1984) education in New Mexico. In addition, Ms. Allen is an artist who works in fine and applied art media. She blends art, craft, and architecture with an integral approach to design and life. Commissions include a pair of sculptural stoneware tile murals and a bronze wine cellar door for a guesthouse on the coast of Big Sur. A one-person painting show last August featured large landscapes of Tennessee Valley and beach, just south of her home in Mill Valley. Leslie recently completed a welding course; her hands-on experience making things and using tools informs her design work. During the last year, Leslie organized a group of Mill Valley Architects to contribute to the development of the new plan for the major commercial boulevard into her town, including changes in zoning and the development of design guidelines. Caroline SooHoo, an architect, is presently a project manager for planning, design, and construction of new and renovated facilities at City College of San Francisco. In her 'free' time, she enjoyed spending time with her friends and family, painting, and playing guitar. As a new OWA Steering Committee member, she would welcome hearing from the members about the kinds of activities, seminars, trips, etc. that the OWA could organize to support the creativity and interests of its members. This year she is looking forward to the possibility of an OWA trip to Russia, spear-headed by Larissa Sabsay. My interest in architecture began, while in grade school, when I visited an architecture firm. Since I have always been interested in Art, I immediately fell for the models and drawings of buildings that I saw there. I was fortunate enough to spend a year in Belgium as an exchange student in high school and four months in Japan during college. During these stays I learned about new cultures and sought out interesting vernacular, classical and avant garde architecture of Belgium, Holland, France, Germany, Austria and later, the beautiful Eastern architecture of Japan. I studied architecture at the University of Washington in Seattle, where I was awarded the Calison and Eberhard Scholarships and earned a BA in Architecture. I moved to Oakland nearly ten years ago to work at Pyatok Architects, where I have been committed to the firm's goal of helping to provide high quality, affordable housing. I have worked on many exciting projects, including the recently completed Vineyard Crossings and some award-winning housing, such as Channing Bowditch student housing for UC Berkeley, the historic rehabilitation of Altenheim Senior Housing and the renovation of Lord Tennyson Apartments. Over the past year, I was the chairperson for the Women in Architecture Forum of the AIAEB. The ForumÃ­s goal is to create a comfortable place for women to meet and to encourage people to get more active, network, present their work and find opportunities to mentor or to be mentored. It was through looking for women to present at the Forum that I had the pleasure of meeting Mui Ho. James E. Vann gave me Mui's name, and I learned that there is an entire organization dedicated to women in architecture and design. Who knew? I approached Mui to see if she would present to the Forum, and she invited me to the OWA's presentation at StopWaste.Org. I was so impressed with how supportive and egalitarian that Mui, the OWA and its members are, that I went to the retreat and there volunteered to be on the Steering Committee. I am honored to be a member of the OWA, to be amongst so many empowering women and to be on the Steering Committee. I am thankful to all those who started the OWA and to those who have nurtured it along. My only regret is not having heard about the OWA sooner, so I will spread the word and show others just what they have been missing! Below are two trips that members are interested in organizing. Since they are beyond the Bay Area and take a fair amount of planning and commitment we suggest contacting the organizers of the respective trips so they can get an idea of the amount of interest in these Super Events. Have you ever wanted to see an onion dome up close or other Russian architecture? Then contact Larissa Sabsay , OWA Steering Committee member about her pending trip to Russia this Spring or Summer. Larissa is originally from Russia and would love to share her homeland with you. Send Larissa an email if you are interested or want more information. The office of Muller & Caulfield Architects is organizing a trip to San Simeon to tour Hearst Castle designed by Julia Morgan. First, we'd like to see how many members are interested in going either the weekend of the 21st of March or the weekend of the 28th of March. Hearst Castle offers several tours and we'd like to take two or three including an evening tour. Depending on the number in our group we may be able to get a customized tour for OWA members. We are considering car pooling or hiring a coach. Emily Thurston has volunteered to research the transportation, and accommodations. First, she needs to know how many of us are interested. For upcoming events in 2008 please visit the OWA Calendar. We would also like to feature you on the website. We want to begin showing off the design capabilities of OWA members in various locations. We know how creative you are, and the site should reflect that creativity. If you have photos of your work (both vocational and avocational efforts) we would be please to display them. This will not be a profile of a particular members work - that may come at a later date. These will be used to headline the various pages on the site replacing the somewhat shopworn photos we currently use. The photos will have a caption and a link to your own website if appropriate. JPEG files are requested, horizontal formats, a minimum of 1200x800 pixels in size. Also requested is your particular role in the represented project (in 5 words or less), the name of the photographer if necessary, and the website to link to.